What does generosity look like to you? Is it cutting a check or giving your time? Do you see being generous as something you do once a year or is it a lifestyle? We believe that generosity takes many forms and each one leaves our world in a better situation. We also believe that generosity is inspirational, and when we see others being generous, it can inspire someone else to be, and on and on! With that thought in mind, we are excited about a new series at Strategic Retirement Plans called “Living Generously”! This will be a section where we tell the stories of people in our SRP family that are being generous with their time and resources, in hopes that it might inspire someone else. We do have a couple of caveats we want to get out of the way. 1. Nothing we post is a solicitation to support a certain organization. There are so many great people and causes out there that we don’t want to push giving to one over another, we just want to encourage the idea of living generously. 2. It is our hope that people will read these stories and be encouraged to do something generous where they are, but at no point do we want to have a post come across as a “humble brag” or guilt trip to take action. Our goal is to share a little positivity with the hope of inspiring others to see where they can be generous in their own lives. We also understand that people are in different stages of life and generosity will look different along the way. Our goal is to encourage a mindset, not a specific action. With all that being said, we want to kick off our first “Living Generously” story with our very own Brandi Lapito! 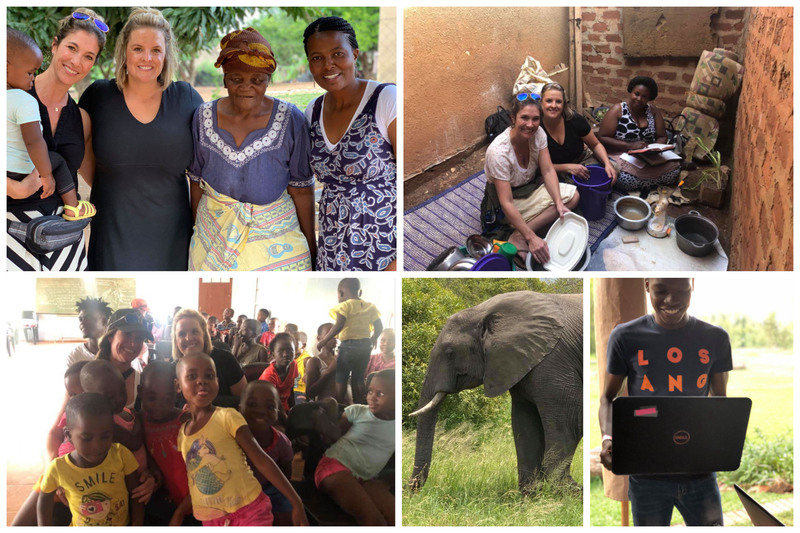 Brandi recently had the opportunity to travel with a local group of ladies to South Africa and Uganda. This was made possible due to the work being done there with a non-profit organization called “Hope Of Africa“. Their mission is to raise a large network of emerging African leaders who know their intrinsic value and use their God-given talents to serve and inspire their communities and the nations. 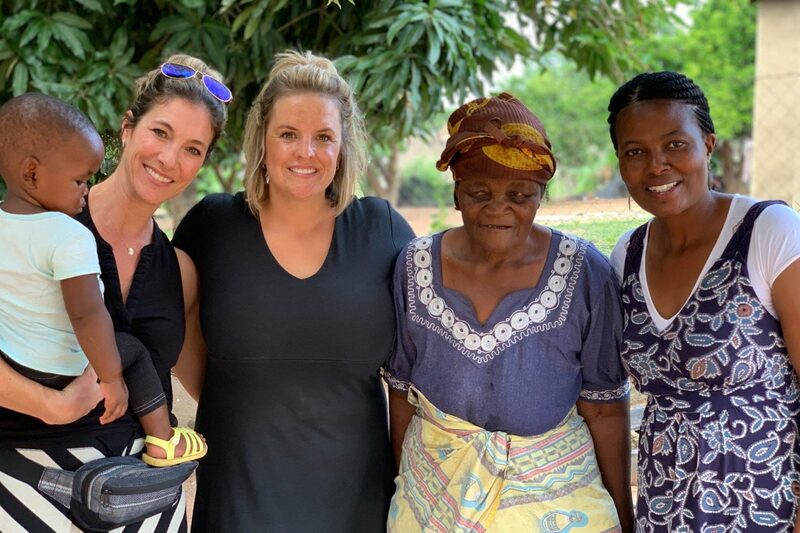 The team Brandi traveled with had the opportunity to minister to the children and ladies in the villages they visited. They taught classes for kids and brought food to many people. They also had the chance to deliver computers to some university students they interacted with. They were blessed with the chance pour into the relationships that were already established there and build new ones along the way. They even got the chance to see elephants, zebras, rhinos and many more exotic animals. As is the case many times when we are generous, Brandi and their team came away with new lifelong friendships and memories. The great thing about living generously is we sometimes walk away feeling like we are the ones that are being blessed instead of the ones providing a blessing. This was certain the experience this team had with this trip! We hope you enjoyed this first installment of “Living Generously”, but we want to hear from you! We would be honored if you would share your story of how you or someone you know is being generous with their resources, time, or talents. Whether it is a mission trip around the world, or a helping hand to a neighbor, generosity doesn’t have to fit in a box. Email us here to tell your Living Generously story. We can’t wait to hear all the positive things our SRP family is doing to make our world a better place!